We're taking a break from our Hawaii series. Actually, the garden prompted this break. We are happily inundated with basil right now, so what are Three Friends to do? Make pesto! 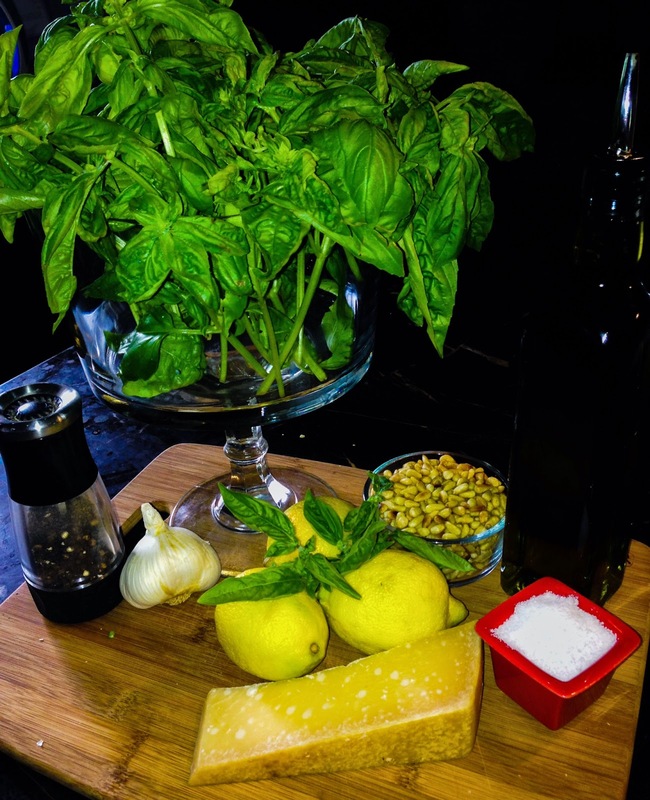 This pesto is a little bit different than some of the recipes you will find. First of all, the pine nuts are toasted. Toasting brings out and deepens the flavor of the pine nuts. To do this, throw one cup of pine nuts in an iron skillet and put it on top of the stove. Turn on the burner and stir constantly to keep the nuts from burning. They can go from beautifully tanned to third degree burns in a matter of seconds and burned pine nuts are nasty. Set the nuts aside to cool while you gather your other ingredients. 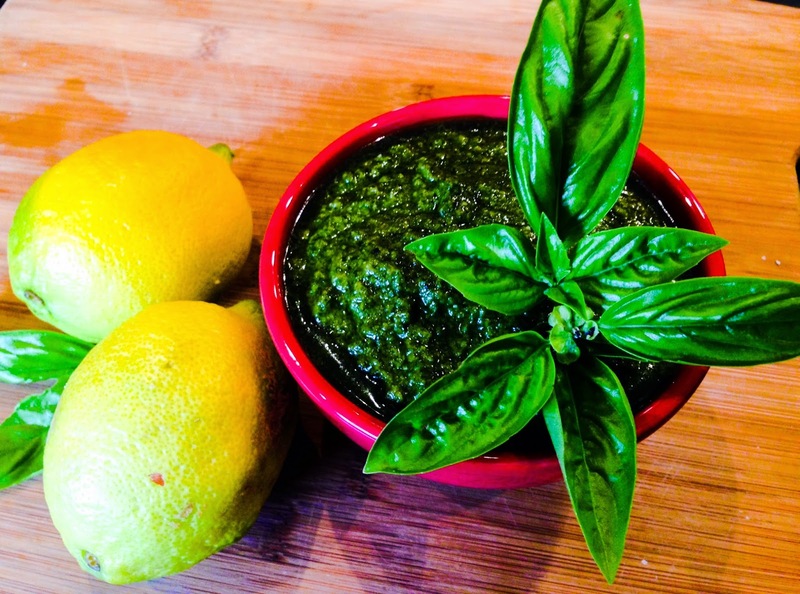 Secondly, this pesto differs from other recipes because it has lemon. Lemon just brightens up the whole recipe. We add both the lemon zest and juice. Throwing away that lovely zest is such a waste! So, zest and juice one large lemon. Set that aside, too. 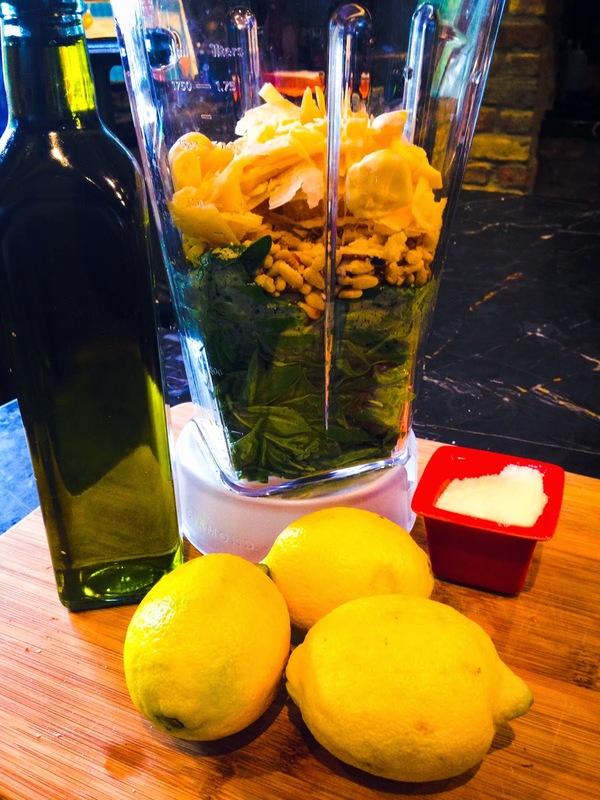 Into the blender put the basil, pine nuts, garlic, parmesan cheese, lemon zest, lemon juice, salt, pepper and half the olive oil. Pulse to get it all started and then turn the blender on while you slowly add the remaining half cup of olive oil. You may have to help the process along by turning the blender off from time to time and stirring things around a bit until everything is incorporated. This makes two cups of pesto. If you choose to freeze the pesto, drizzle the top with a teaspoon of olive oil before freezing to keep it from turning brown. What can you do with this delicious stuff? Well, you can add it to pasta for a yummy pesto pasta. Or, mix equal parts pesto and mayonnaise for a delicious spread. You can use that in place of regular mayo on a tomato sandwich...absolutely divine! 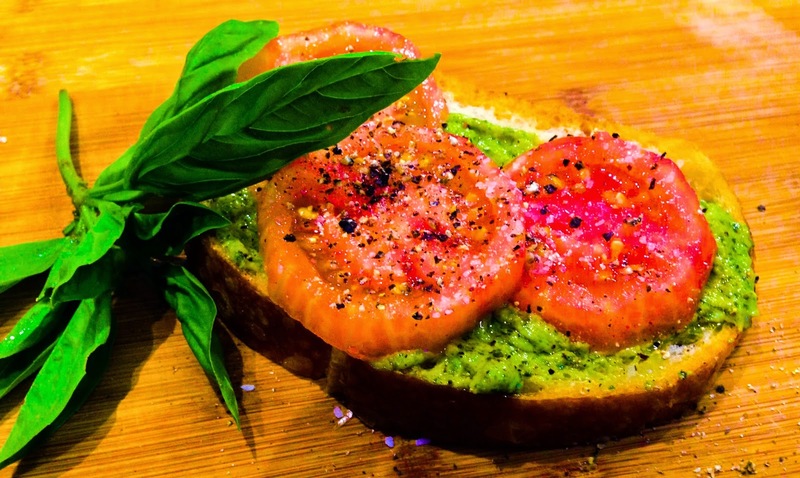 Or, spread the pesto mayo on sliced baguette slices and top with fresh tomato slices. Run the whole shebang under the broiler for a few seconds for a lovely bruschetta. Pesto is one of my favorite things but I've never made it from scratch. I really need to give it a go!